Icing sugar/ flour/ almond/ salt. I would (but not necessary) in a magi-mix just blitz a couple of times to get any lumps out. Add cold cubed butter, and with hand rub together to bread crumbs. With the almonds it will become more like big clumps than what your used too. On a surface, I put 1/3 in fridge and put 1 on work surface. GF the surface (not almond) roll out the pastry till ½ cm thick, but remember to move the pastry around adding extra four on to the rolling pin, underneath, on top etc.. otherwise everything gets very sticky. 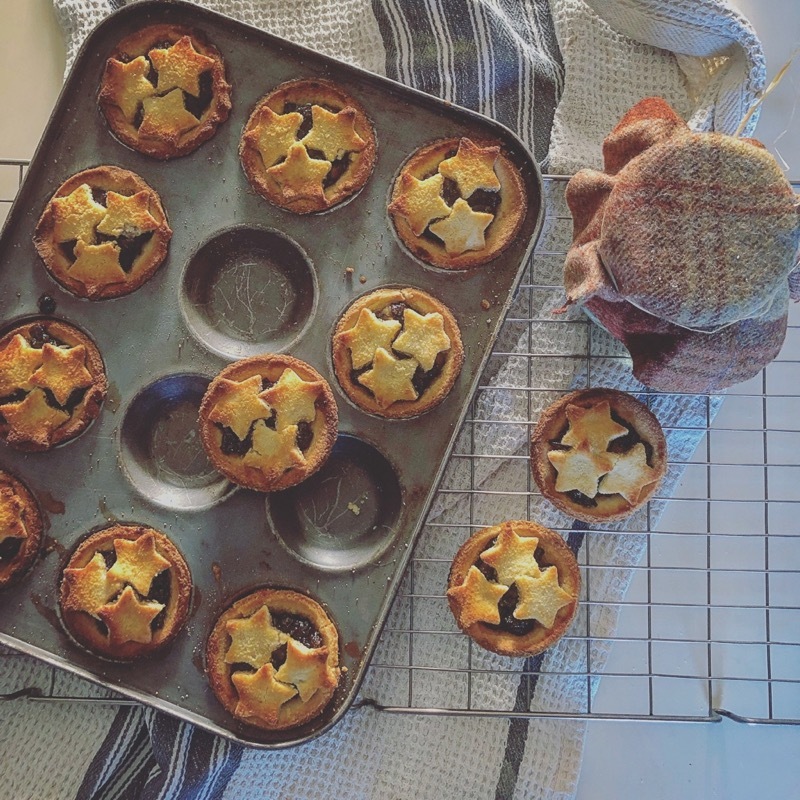 Make circular rounds, remembering to dip into the flour 1st so the pastry doesn’t stick and put on to the mince pie moulds. Fill the pastry will a teaspoon of mince meat. I put start shapes on top.. When they come out I sprinkle sugar or icing sugar over them.